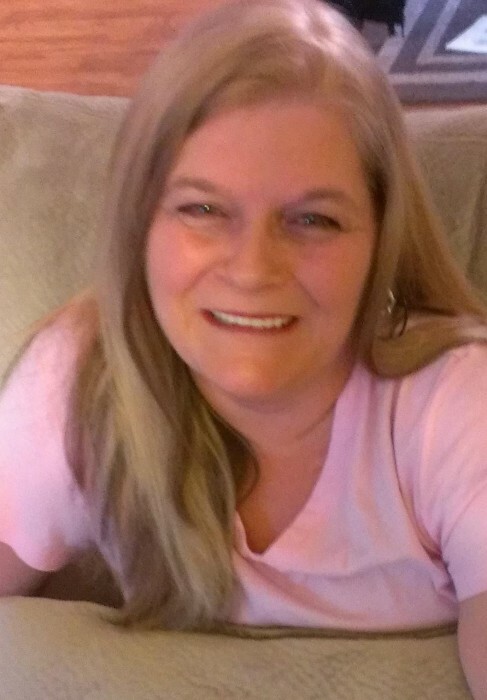 Kathy Mae Offutt, 56 , of Madisonville, KY passed away on Wednesday, April 3, 2019 at Baptist Health Madisonville. She was born in Hopkins County, KY on March 25, 1963 to the late Garland Brasher and the late Osie Mae Hunter Dukes. In addition to her parents, she was preceded in death by two brothers: Garland Ray Brasher and Michael Dale Brasher; and one sister, Mary Elizabeth Ford..
She is survived by her husband, Barry D. Offutt, Sr. of Madisonville, KY; four children: Heather M. White of Mortons Gap, KY, Barry D. Offutt, Jr. of Bowling Green, KY, Stephen A. Offutt of Slaughters, KY, and Samuel R. Offutt of Madisonville, KY; one sister, Diwana Wilson of Russellville, KY, one brother, Garland Jeff Brasher of Nortonville, KY; eleven grandchildren; and several nieces and nephews. Funeral services will be Friday, April 5, 2019 at 1:00 pm at Reid-Walters Funeral Home in Earlington, KY with Rev. Steve Sandefur officiating and burial to follow at Oakwood Cemetery in Earlington, KY.
Visitation will be on Friday, April 5, 2019 from 10:00 am until service time at the funeral home.